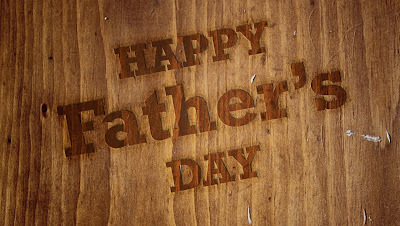 Since I grew up without a dad. Father's Day has become important for my kids and I to celebrate with my husband. I think it's a great way to honor dad and give him a special day. This year, these are my top pics for gift giving. I hope you enjoy! My husband is really into tech. He loves to play with and use all the new products. I love this EZVIZ Mini O because it's a great compact size, and has great features! I know when I give this to him for Father's Day he is going to install it in the kids room, so we can keep an eye on them at all times! All EZVIZ cameras now work with Alexa! So you can use your Echo show to ask Alexa to show you your kids, and BOOM there they are! Plus, I love that this works on so many devices, and that I can check the camera from wherever I am. EZVIZ Mini O 1080p ($59.99) an indoor, smart home Wi-Fi camera built for the connected home. Mini O 1080p works with your favorite apps, websites, email accounts and smart devices, and it only gets smarter. With just the press of a button your cameras automatically become smarter and work with more devices. Recently I received a sample of this, and it's amazing. My husband and my boys all have stinky feet. My husband is definitely getting some of this for Father's Day. I think really it's a gift for me though, since I am the one who doesn't have to smell the feet anymore! 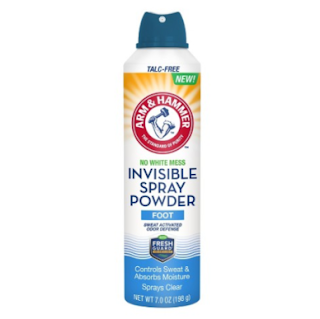 You can purchase at most mass retail stores and drug stores. 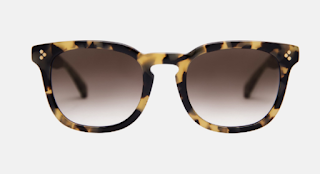 Sunglasses make a great gift for dad! Especially sunglasses made by a company like DYNAMIKOS. DYNAMIKOS donates 20% of their profits each month to charity. With styles for men and women, you will be sure to find a pair you love, and a pair for dad too! 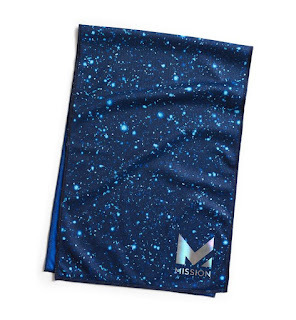 Mission Cooling Towels make a great gift for dad! I plan to give my husband one to use at the gym. All you have to do is wet the towel, then wrap around your neck and it will instantly cool you! Mission Cooling Towels are available in a variety of sizes and colors, and are priced at around $20! MISSION, the leader in instant cooling technology introduces the MISSION HydroActive Max Instant Cooling Towel. Our fastest-acting instant cooling towel with 30% greater COOLING POWER cools fast and lasts, and is perfect anytime you need relief from the heat. Simply wet, wring, and snap for instant cooling relief. When activated, the ultra-soft, breathable fabric cools down to 30 degrees below your average body temperature and provides a cooling effect for up to 2 hours. Re-wet and re-snap when the cooling effect wears off as often as you like to stay cool for hours. The MISSION HydroActive Max cooling towel feels ultra soft on your skin and stays soft whether wet or dry, unlike other cooling towels on the market. The towel is reusable, anti-microbial and machine washable, with permanent technology that will never wash out. Perfect for the whole family, the HydroActive Max instant cooling towel provides instant relief at the beach, in the yard, during fitness activities, or anywhere you want to feel cool and comfortable. The EZVIZ Mini Trooper is such a great camera! I love that I can use it indoor or outdoor, and it's super easy to install! Plus you only need one base station to control 6 cameras, this means I can put the cameras all around the outside of the house and access them all from one port! This camera has a battery life on 9 MONTHS! No worry about having to charge the battery weekly, this one lasts a long time. With night vision and motion alerts if anyone is within a few feet of the camera, a push notice shows up on my phone and I can see what's going on. 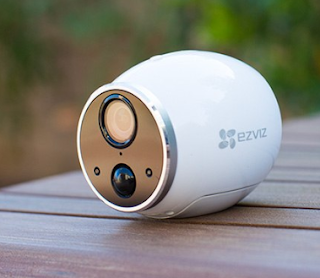 EZVIZ Mini Trooper is a customizable 720p battery operated, wire-free indoor/outdoor camera with HD video quality. It’s unique wire-free design provides the flexibility to be easily installed at any location, including hard to reach locations that a traditional wired camera can’t access. The base station can control up to 6 mini troopers.